You can build a powerful customer connection if your emails are personalized, relevant and perfectly timed. It’s happened to all of us, and no one likes it. You visit a banking site to research home refinancing options. Later, you receive an email from that bank about credit card rates. You browse men’s golf shoes on a retail site and then receive an email about a sale in women’s bathing suits. It just doesn’t make sense. Email is such a powerful channel for engagement that companies across industries continue sending more and more of it. The problem is when the content of the email is irrelevant, or there’s just too much of it: It turns people off. To leverage the best one-on-one engagement channel they have, companies need to understand the right and wrong ways to do email. Email is alive and kicking. Email is certainly not dead. It remains the most effective channel marketers have for initiating a conversation and reaching out to their prospects and customers. Texting/SMS messages and push notifications share many similarities with email, but people tend to expect push notifications to be both urgent and important. People expect email to be important but not urgent, so they don’t get nearly as annoyed by a non-urgent email as they do by a non-urgent text. Thus, the best way to reach out to an individual and initiate a conversation with them on a one-to-one level — without irritating them — is email. So why do companies keep abusing the power of email? Years ago, you could achieve email click-through rates of around 5 percent. These days, you’re lucky to get click-through rates of 0.5 percent. But even that 0.5 percent makes an impact, though, so companies keep emailing. If this is you, take a deep breath, step out of the cycle, and do email differently. “One size fits all” emails cannot be nearly as relevant — and therefore never as engaging — as they might be if they were individualized. You have an excellent, one-to-one channel that allows you to reach out to a particular person, to appear in their inbox (the same place where they communicate with friends, colleagues and customers), and to begin a conversation with them, but instead, you sent the same communication you did to a million other people. Well, they noticed. It’s a sign that you’re abusing email by sending me ads for women’s bathing suits when I want to look at golf shoes. 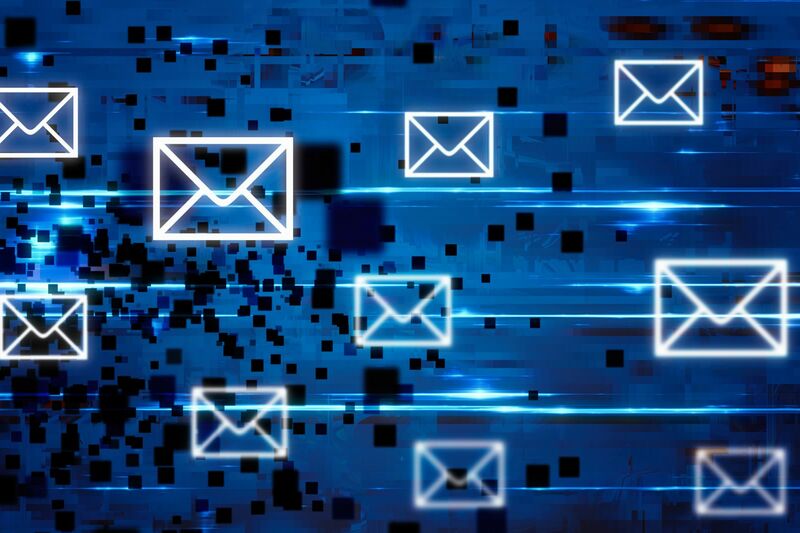 Repeat after me: Bulk email is not relevant or engaging — and it is increasingly ineffective. You cannot keep emailing everyone the same thing, but you definitely shouldn’t stop sending emails. So what should you do? To save yourself from the email death spiral, you need to focus on sending emails that recipients will actually care about. Make each email so relevant and compelling that people click through at a higher rate, and you will start to reverse your sliding click-through rate, from your 0.5 percent back up to 5 percent or more. There are two types of emails that help you provide a great experience to the customer. Triggered emails allow you to reach out only when you have something relevant to say. Various criteria can trigger the sending of an email: when a person’s actions indicate it’s an appropriate time to send an email; when something changes in your business that the person would be interested in, such as inventory or price changes; or when outside circumstances have changed, such as weather conditions. Triggered emails increase the importance of all the email you send because they establish that you communicate only when you have something meaningful to say to that person. For example, if a shopper had recently engaged with a particular appliance on a retailer’s site or mobile app but has not purchased it yet, the retailer can trigger an email informing him when there are only a few left in stock to drive prompt action. Or, a newly published blog article could trigger an email. No, not to everyone on the subscriber list, just to those who have shown an interest in the content area the blog post discusses. When you still want to send emails to a lot of people at a certain time, during the holiday season, for example or on a regular schedule, perhaps weekly or monthly, you should use open-time email personalization. This method of mass email personalization utilizes machine learning technology. You might email part of your list or all of it, but at "open time," the email can be populated with relevant, personalized content that is truly individualized and unique to each recipient. Machine learning is a popular buzzword, but it’s simply a form of AI that uses a scalable way to select the most relevant content to show someone based on what you know about him. Using machine learning is the best way to return your email to what email is meant to be — a meaningful conversation with a person. And by meaningful, I mean truly personalized. This doesn’t just mean mail merging a person’s first name or company name into the email. Real personalization means tailoring the content of an email dynamically for each individual: the message, the offers, the recommendations. To be good at doing this, you need to know who you’re emailing and what their interests are. That knowledge comes from in-depth data combined with machine learning. Here’s a simple example. Assume a financial services firm sends out an email promoting an upcoming webinar to prospective clients. A recipient who learned about the webinar elsewhere has already signed up for the webinar before opening the email. At open time, the content of her email should be updated to acknowledge her registration and suggest a few relevant resources to check out in advance of the webinar. The quality of your email will not go unnoticed as people respond by clicking through. People appreciate the right communication at the right time. By initiating meaningful email contact, you can transform thousands of unsubscribes into millions of click-throughs.